OLD PARKED CARS. 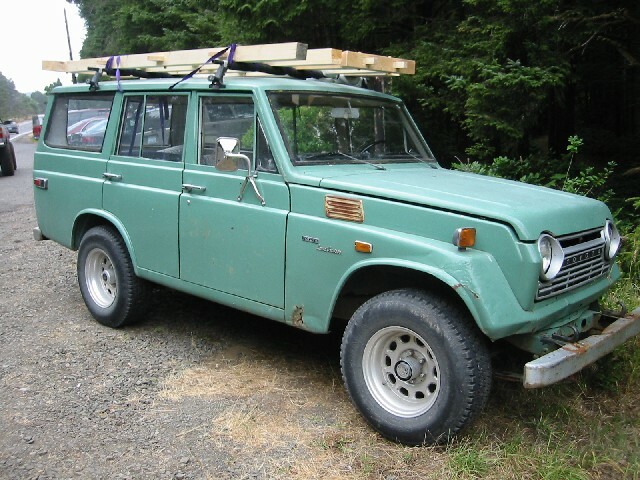 : 1973 Toyota Land Cruiser FJ55 Wagon. 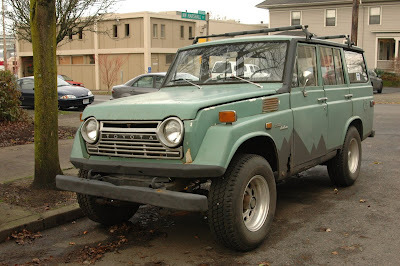 1973 Toyota Land Cruiser FJ55 Wagon. Amazing that you posted this today. 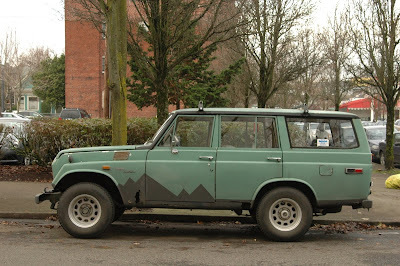 I saw a '75 version on Thursday in SE. t's unclear to me why these are so rare, compared with the fj40s that preceded them. 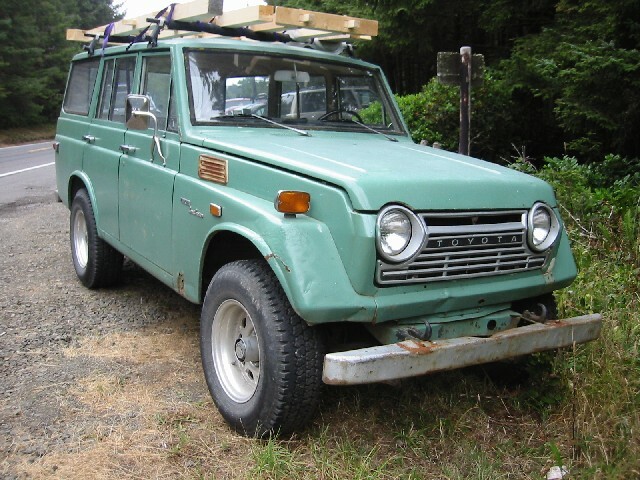 on any given day, you'll find no fewer than fifty low-mile fj40s on ebay, but you can go months without seeing one of these. 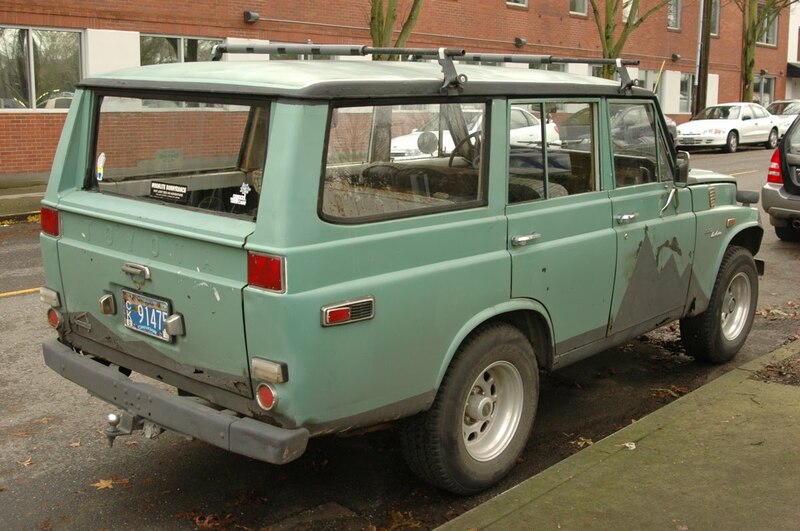 interestingly, another car-spotter photographed what appears to be the same truck in 2003 on the oregon coast, pre-custom-paint. see it about halfway down this very long web-page, or click to see the images here and here.